Leaving husband, house, and friends behind, Juana begins her search for peace and happiness in earnest. Mistakenly, she thinks all she needs is "Mr. 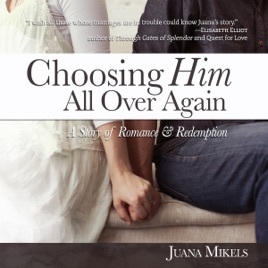 Right", but instead, Juana finds Jesus and the peace she has always longed for. As she grows in her faith and her desire to please God, God rekindles in her heart a longing to be reconciled to her husband. However, the tables are now turned - her husband doesn't want Juana back. Juana learns how to let go and trust God, to let him go to work and do what seems like the impossible...but will her marriage be restored? Hello! This book is magnificent and I honestly recommend it anyone, single, separated, divorced and married. The only thing I noticed is that Track 21 is Chapter 18 and Track 22 is Chapter 17, so it is read out of order. Otherwise amazing!